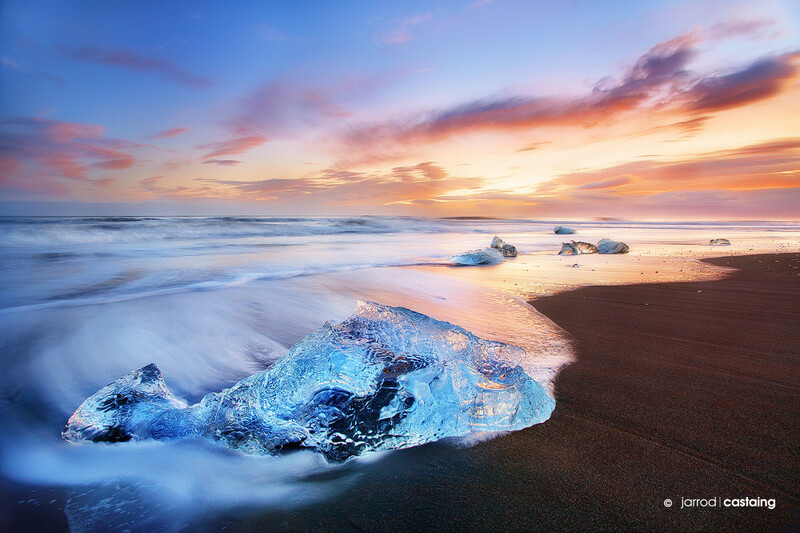 Join Jarrod for a 5 day adventure photographing the incredible beauty of Iceland. 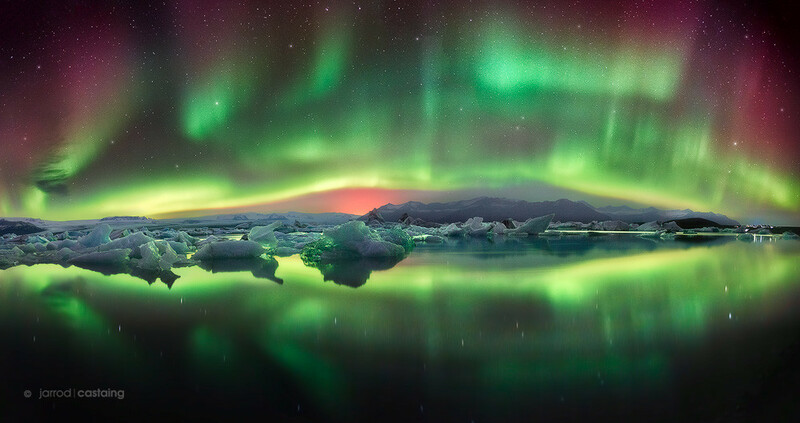 Our focus will be hunting the Northern Lights (Aurora Borealis) and capturing the iceberg lagoon and beach at Jökulsárlón not to mention Iceland's countless waterfalls. We'll be timing our trip around the New Moon to give us the best chance of seeing the Aurora. "I've had a lot of requests over the years from friends that would like to join me on my travels without the cost of a formal workshop. So I've decided to put together a new trip with a focus on being in the right place at the right time and sharing a passion together for capturing beautiful images." These are informal courses where everyone can share and participate. Many workshops are very student/teacher oriented... this isn't one of them. We'll shoot along side each other by day, and digitally process our images by night. Whether it's back at the guesthouse or even in the back of the car! It's up to you. This flexible itinerary will give us the best chance of chasing the light. All levels of skill are welcome from beginners to professionals. Aurora Borealis (we hope! ), Jökulsárlón Iceberg Lagoon and Beaches, Gullfoss, Geysir, Seljalandsfoss, Skogafoss, Vik and more. Includes: Guide, Transportation, Accommodation (shared).